A new global fund is being launched to help developing countries fend off challenges to tobacco control measures by cigarette makers. The $4m (£2.7m) fund is a joint effort by Bloomberg Philanthropies and the Bill and Melinda Gates Foundation. 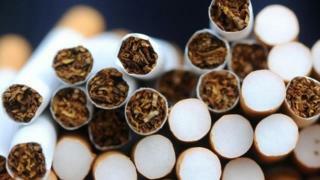 They say tobacco control gains are being put at risk by the industry's use of trade agreements and litigation. But tobacco companies argue they are protecting investments, including intellectual property rights. The fund has been launched in Abu Dhabi at an international conference on tobacco control. The former New York City mayor, Michael Bloomberg, said: "The significant gains we have seen in efforts to reduce tobacco use are at risk of being undermined by the tobacco industry's use of trade agreements and litigation." Both philanthropists say the purpose of the targeted fund is to help countries such as Uruguay, which has spent the past five years fighting a challenge by a cigarette company against the use of graphic health warnings on packets. This is about sovereignty and whether a country has the right to set its own public health policies. Australia is also facing a case by the World Trade Organisation and the tobacco company Philip Morris International against its recent law, allowing cigarettes only to be sold in standardised packaging. Similar laws have now been passed in Ireland - and in the UK earlier this week. Mr Gates added: "Country leaders who are trying to protect their citizens from the harms of tobacco should not be deterred by threats of costly legal challenges from huge tobacco companies. "Australia won its first case, which sends a strong message. But smaller, developing countries don't have the same resources." One of the purposes of the Anti-Tobacco Trade Litigation Fund will be to create a network of senior lawyers - some working pro bono - who are experienced in trade litigation. The criteria for poorer countries to receive help include the size of the population that will benefit from tobacco control law, and the importance of the outcome to other countries considering similar laws. Both philanthropic organisations hope the initial investment will grow, with other donors joining the effort. Mr Bloomberg said: "The bottom line is people are stopping smoking. And so we think this is a good battle. "It is certainly a cause worth fighting for. A billion people's lives are at stake." As mayor of New York City, he banned smoking in public places in 2003. Since leaving office, Mr Bloomberg has funded and campaigned for countries to adopt tobacco control policies. He added: "No one is a stronger supporter of capitalism and trade than I am. This is about sovereignty and whether a country has the right to set its own public health policies. "The fact that there is a fund dedicated to taking on the tobacco companies in court sends a message that they're not going to get a free ride." A spokesman for Philip Morris International said: "We respect a government's authority to regulate in the public interest and we believe that sound tobacco control policy and compliance with international law can easily co-exist, as many countries around the world have demonstrated for years. "Governments can and should honour their international obligations when enacting tobacco control measures, and this fund can provide them with resources to do so."